A blunder is a careless and often stupid mistake. As a verb, to blunder means, obviously, ‘to make a stupid mistake,’ but also ‘to move or act in a clumsy or stupid manner.’ If you say something suddenly and without really thinking about it, that’s also to blunder, and if you spoil something by doing poor or clumsy work that’s to blunder too. The intern's blunder cost the company a lot of money. The figures didn't add up; clearly, someone had blundered. Unable to find the light switch, Neil blundered across the dark room. Gemma blundered out the secret. The job was too complicated for the apprentice carpenter and he blundered it. Another way of saying you have blundered, in the sense of a mistake, is to say you have messed up. Mess up is more frequently used than blunder these days and is a little more informal. Blunder, as a verb meaning ‘to stumble around blindly,’ dates back to the mid-14th century, in the form of the Middle English blunderen or blonderen. It came into English from a Scandinavian source, though linguists have not been able to pin down the exact source. It can be traced back to the Proto-Germanic root blinda- (blind), but its origin before then is unknown. It is related to the Old Norse blunda (‘to shut your eyes’ or ‘to nap’), and to the Norwegian dialect blundra, as well as to the English adjective blind. The meaning ‘to make a mistake’ dates back to the early 18th century, while ‘to spill a secret’ was first used in the late 18th century, and is now uncommon. The noun comes from the verb, and dates back to the late 14th century. Its original meaning was ‘a disturbance or strife,’ as well as ‘trouble or distress,’ but this meaning is now obsolete. 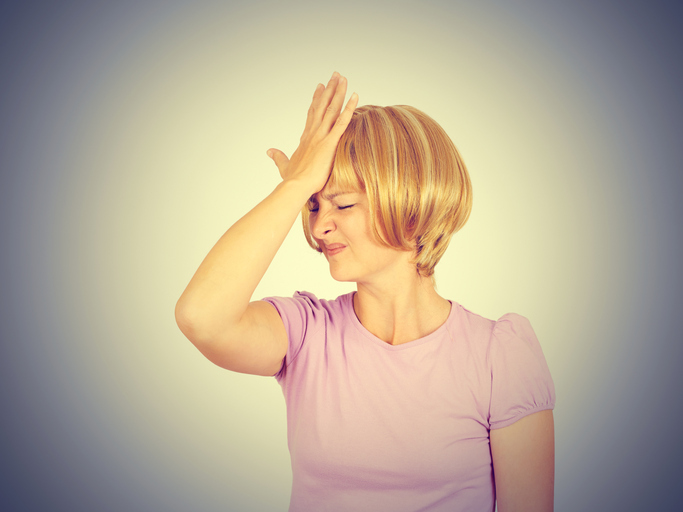 The sense we use today, ‘a mistake caused by hurry or confusion,’ dates back to the very early 18th century.